I mean, are you really ready for the goodness? I don’t think you are. One of my favourite duos will be back on September 24th with another banger on deck, no doubt. But like I said, I seriously don’t think you’re ready. Grammy-nominated Nicolay Rook and Phonte Coleman a.k.a. 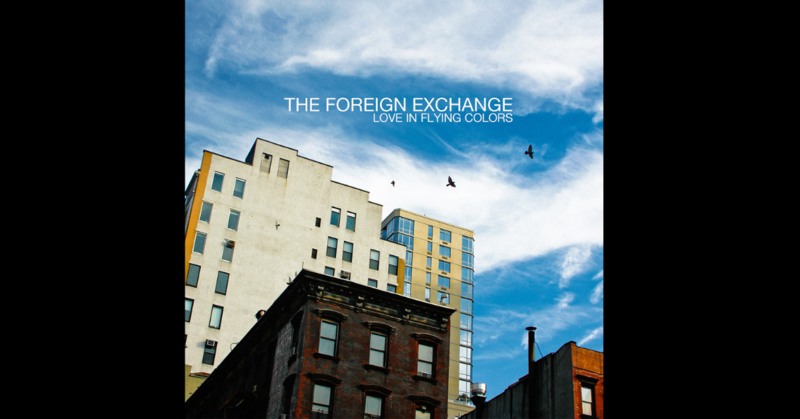 The Foreign Exchange, has released three phenomenal studio albums thus far, and Love In Flying Colors will be their fourth. The usual suspects will, of course, be dropping by for features on the upcoming release. Expect to hear from Zo!, Jeanne Jolly, and more. If you look at the song titles in correlation to the album title itself, I would think that would be enough to get even more giddy about the new tracks and album as a whole. If you know about their songwriting and melodic compositions, then you understand exactly what I’m talking about. Now, as we wait in anticipation for September 24th, yesterday FE dropped a little video to whet our appetite and get us all worked up for what’s to come. Even though the tracklisting was revealed last month over on the FE website, I would be amiss if I didn’t post it, wouldn’t I? Now, I’m going to ask you one more time. Are you ready?